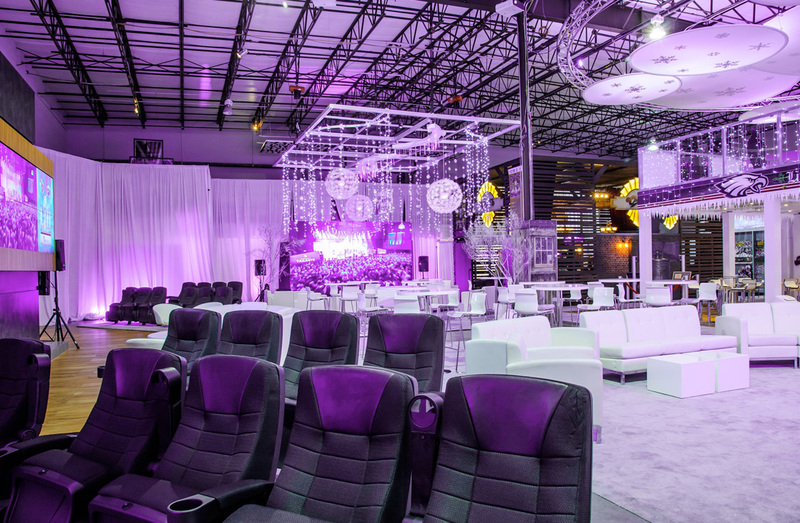 When thinking about the biggest football championship of the year and planning for what would be 2020 Exhibits annual corporate client Super Bowl Party Extravaganza, the Global Events team needed to go big or, as they say, go home. 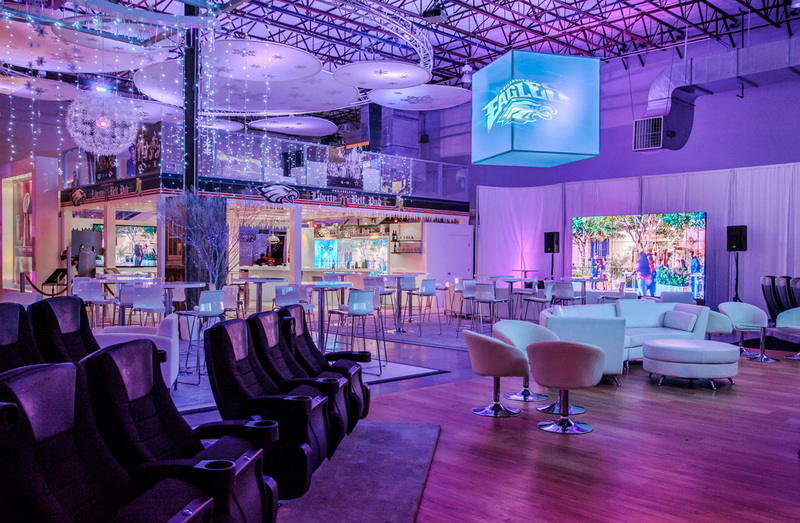 The team began with a blank event canvas and made plans for a colorful experience of the senses that guests would celebrate, and remember. To start, perhaps it is no coincidence that Pantone's 2018 Color of the Year is Ultra Violet (or, more specifically, Ultra Violet 10-3838). Citing musical icons Prince (beloved Minneapolis favorite), David Bowie and Jimi Hendrix, Pantone noted its rich jewel tone and evocative color that communicates originality, ingenuity, and visionary thinking that points us towards the future. 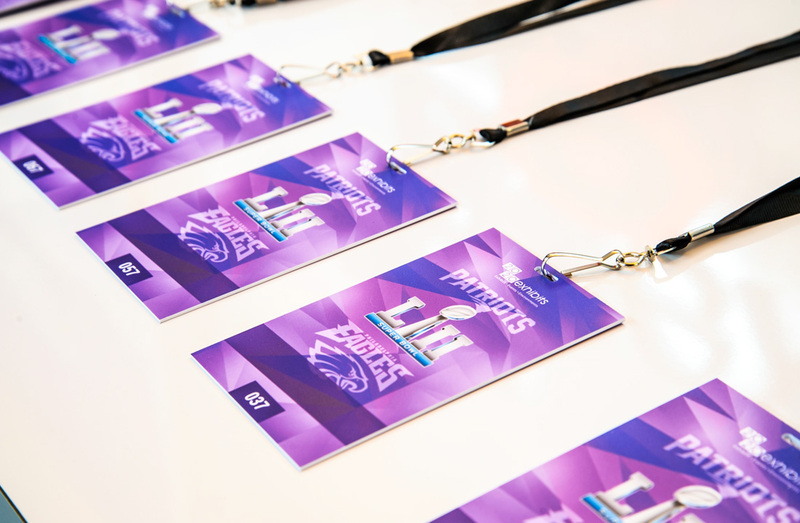 Combining the best of Purple Rain, the Frosty Twin Cities, Philadelphia, and Boston, 2020 Exhibits Global Events Team designed and delivered an unforgettable experience that was one for the playbooks. 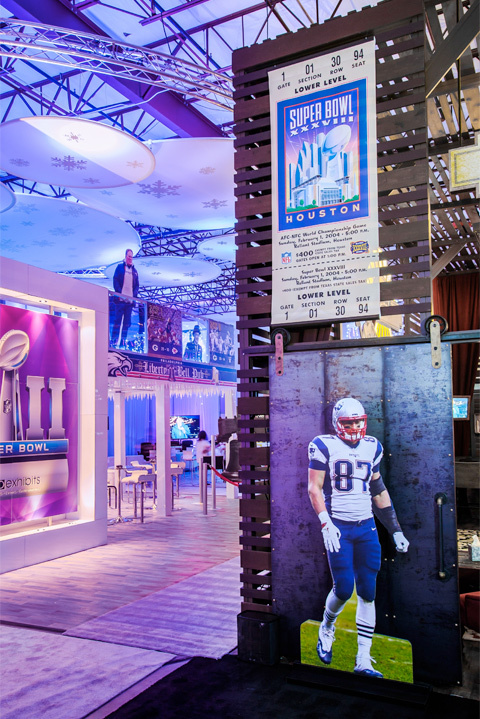 Despite being one of the coldest climates in North America, 2020 Exhibits partygoers were wrapped up in a warm, cozy embrace and greeted with the sights, sounds, and flavors of a luxe Super Bowl extravaganza. 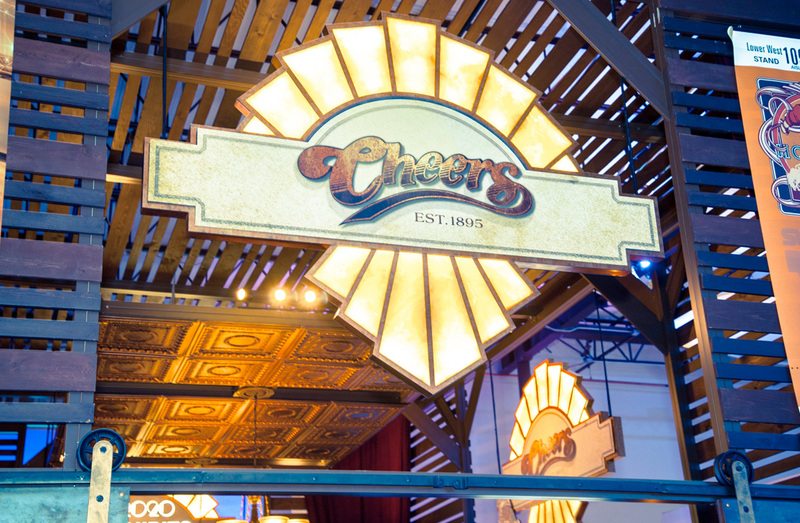 Team 2020 Exhibits wove in local hometown flavors of the Eagles and the Patriots, with the menu and vibe satisfying even the most rabid sports fans. Tasty treats included Lob-stah rolls made from fresh-off-the-boat (flown in the night before!) Boston lobster, rich and gooey Philly cheese steak sandwiches and, for that added stadium feel, the Wing Man food truck handing out wings galore, parked only steps away from the comfortable, cozy game-day seating. Hot dogs and then some were found on the Hot Dog Man's cart, providing an endless supply of onion-y, cheese-y hot dog goodness for hungry game watchers and fans. Rich and flavorful, the homemade smoked brisket was a nod to the Texas crowd, with bread for dipping in tangy BBQ sauce. Adding that wintery feel of the host city, Minneapolis, a life-size ice sculpture of the Lombardi Trophy was front and center for all to see and enjoy. 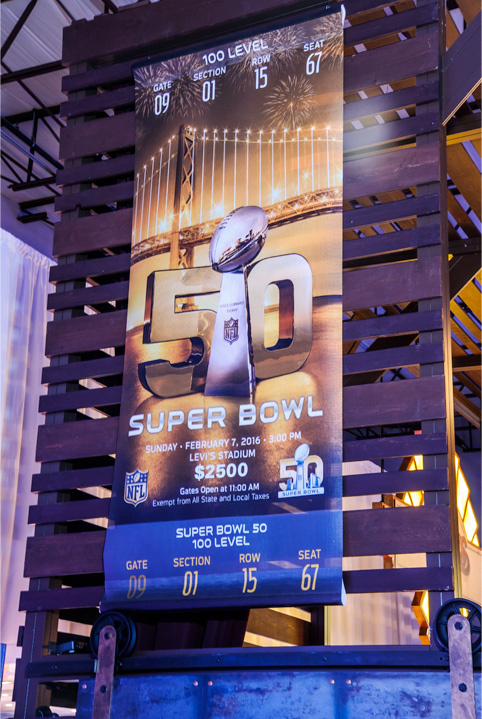 Scoring big with massive video walls and screens galore, the 2020 Exhibits game day experience highlighted the big game, commercials and half-time show from every angle. 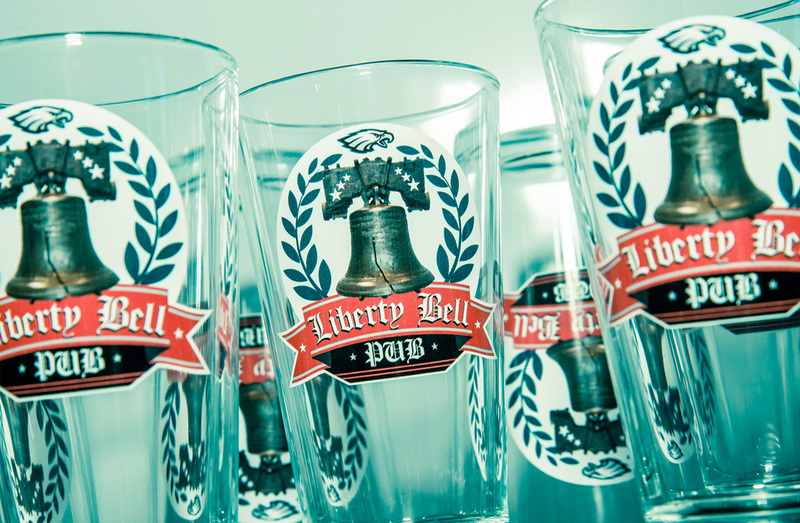 Whether guests tucked into the local Cheers pub or crossed over to the Liberty Bell Bar, this rich game day experience was found and seen far and wide. 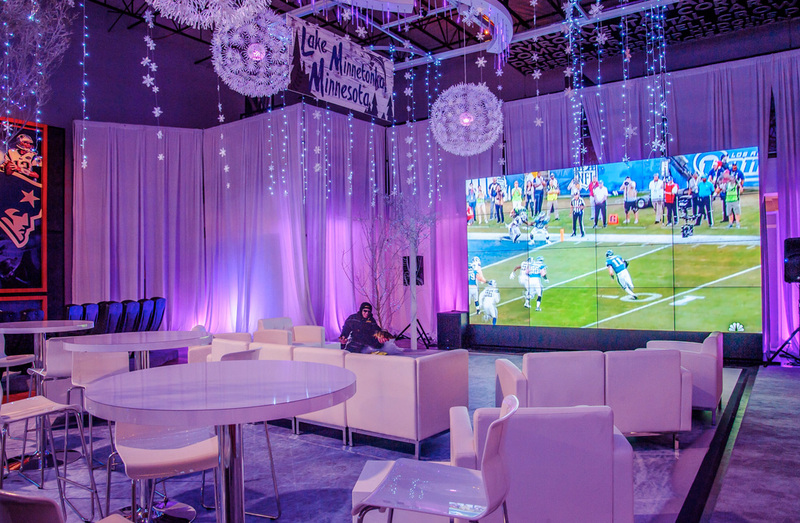 Making themselves feel right at home, guests hunkered down in any number of seating areas, from real stadium seating to cozy lounge areas, this immersive, sensory-rich experience was a winning experience that will live on past the game's final score.